I was walking through the mall when I noticed something that stopped me completely in my tracks. There was a store that had a sign that read “SAVE 80% OFF”. And then right beside it, another sign that said “Take an ADDITIONAL 25% OFF”. Now, I’m not entirely sure how they intended on doing the math, but, to me, it meant that, at a minimum, you could get a product for 85% off! I was completely flabbergasted. How could they—at some point—have sold the products at the original price and then today, be selling them for 85% less? What does that tell a customer that paid full—or near-full—price when they see this? And what in the world are they doing wrong that they need to reduce the price by that much to make a sale? I continued walking through the mall and thinking about this. And as I walked around, I continued to see store after store with 50%, 60%, 75% off their products! To me this was a very alarming sign. Sure, we just went through the holiday season—and we are in a tough market, and stores are trying to entice people to start spending again—but this was just too much. Interestingly enough though, some stores didn’t have any discount signs—and it didn’t surprise me that those stores didn’t—because their products never go on sale. Stores like Apple, lululemon, and Chanel, for example. For them it was business as usual. The idea of a sale isn’t even something they consider. It’s not a tactic they use to move products. It’s not part of their DNA. And it’s not how they do business. 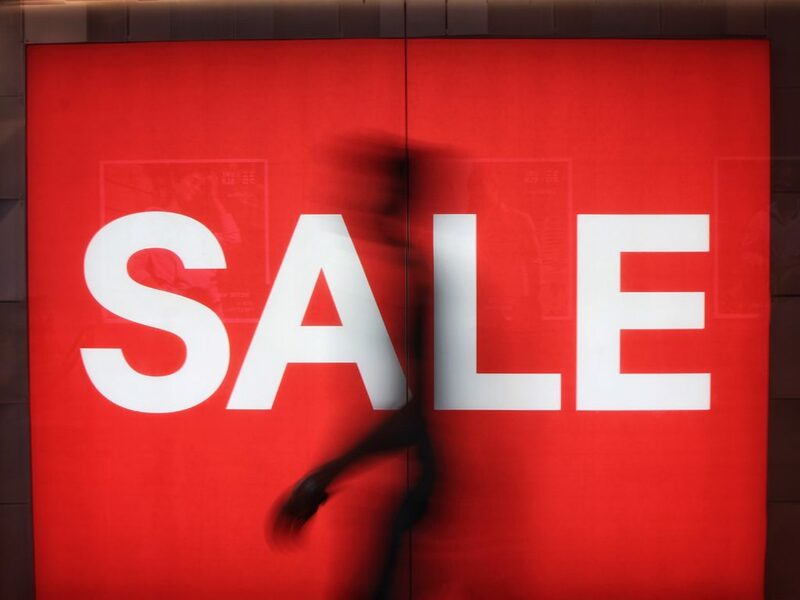 On one hand you have stores that appear to be struggling to get people in to buy their products—to pay attention, to care—and on the other hand, some are in all their glory, in all their pride, selling their products at full price. That’s when I started looking internally at myself. You see, I had spent the majority of my life doing everything I could to get people to like me, to see the value in me, to pay attention to me, and to accept me. And the way I made sure this was the case was by catering myself to everyone. I adapted everything, from my approach, to my words, to what I was willing to accept, all to ensure that the outcome would be one that put me in a good light. And in this exchange, I gave others the power to decide how valuable I was and, ultimately, forced myself to settle for what I thought others wanted instead. After years and years of living this way, eventually, that’s how I felt. Like there was nothing left of me. I didn’t know who I really was anymore. I was trying to be everything to everyone and, yet, I felt like nothing to anyone, especially myself. Like the stores with the massive sales, I was stuck in a downward spiral of settling for less and less so that I could feel noticed and valued. I was devaluing myself to feel valued! How effed up is that? The Apple’s and the lulu’s of the world do not devalue themselves to make money or increase sales. Instead, they make money by standing for something and creating an experience out of it. An experience that resonates with a subset of people. People that want what they are creating. And they find these people by being clear on what their brand stands for. By having their beliefs, their messages, and their actions all in alignment and in integrity with their brand. And when they market their brand, they are making it easy for “people like them” to find them. They speak directly to their tribe. They solve their problems and they create the experience that they’re looking for. Their people choose them as much as they choose their people. Whether you are in search of a job, or a loving relationship, or trying to sell a product or service, be courageous. Have the courage to stand there in all your glory and in all your pride. Show the world who you really are. Tell them what you stand for. Tell them about the experience you are creating in our world. Be true to your beliefs. Be clear in your messaging. And don’t settle for less because when you do, you dilute yourself to complete nothingness. And your tribe, your people, your future employer, your family, or friends or community, they expect more than that of you. Market yourself to your people. Serve your people. Those are the people that see and appreciate your value. So take down the discount signs and, please, stop selling yourself short. I learned my lesson the hard way, hope yours comes a little easier.